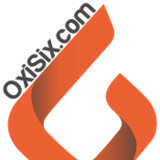 OXISIX is a dynamic and environmentally friendly company offering professional services, serving the greater Simcoe County. We are a local, family owned & operated company, that provides you with personalized, quality service at affordable prices. 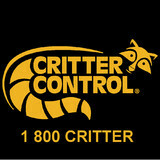 PEST PROFESSIONALS "Expertise. Service. Integrity. 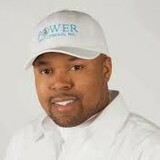 We Get it..." Our mission is to provide our clients with the highest level of service. We are committed to providing friendly service and will go the extra mile to ensure complete satisfaction through our unique and customized approach for effective and reliable service. GTA Toronto Pest Control - Vaughan is a professional, high-quality; family owned and operated pest control company that is based on a work ethic that is applied to the elimination of any and all pests that hinder our customers lifestyle. 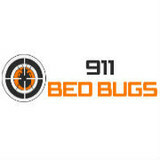 Our innovative pest control Vaughan services are guaranteed to get rid of your insect and wildlife problems. 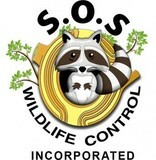 SOS Wildlife Control provides professional raccoon, squirrel, bat, rat, skunk, groundhog removal and wildlife control services. Our solutions are environmentally sound and ecologically responsible. We serve home owners, property management companies, industrial and commercial clients and municipalities in Concord, Vaughan, York Region Area including Toronto. Our wildlife removal professionals have been specially trained to take care of wildlife control problems in the most humane way possible. SOS Wildlife Control provides professional raccoon, squirrel, bat, rat, skunk and groundhog removal and wildlife control services. Our solutions are environmentally sound and ecologically responsible. We serve home owners, property management companies, industrial and commercial clients and municipalities in greater Toronto area and its surroundings. Wildlife removal requires qualified experts, our wildlife removal professionals have been specially trained in Animal removal, and they take care of wildlife control problems in the most humane way possible. We are a team of passionate professionals who take pride in our work. The Exterminators Inc. is a local downtown Toronto based privately held company. We are fully licensed by the Ontario Ministry of the Environment and are fully insured. We strive to deliver the best customer service experience possible while solving pest problems. Pest Control Toronto GTA has been servicing Toronto and the surrounding areas for almost 20 years. Pest Control Toronto GTA prides itself in being a leader in residential pest control in the Greater Toronto market. Our technicians are licensed, insured and bonded and have at least 5 years of experience and some have over 30 years of experience within the Greater Toronto area. Unwanted guests are never fun, especially when you can’t ask them to leave. Luckily, Aurora pest control companies have no problem kicking them out. Whether there’s a rodent in your basement or insects in the attic, call your local Aurora exterminator to take care of them — do not try to wrangle them out yourself! Not sure which type of home pest control service in Aurora, ON can tackle your issue? Read profiles and ask about their past experiences to get a good idea.